Brooklyn Former Ash Pit Closure - J.H. 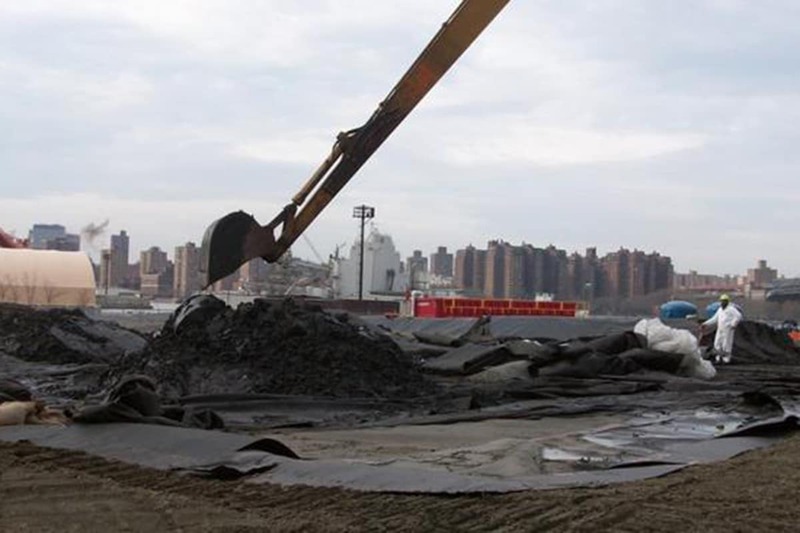 Maxymillian, Inc.
For this this 3.5-acre site located along the East River in Brooklyn, NY, Maxymillian removed sediments from an 80’ x 30’ x 24’ deep concrete lined ash pit and an adjacent pump house. Long reach excavators and hydraulic pumps removed the majority of sediments, but a combination of an excavator bucket and divers using small pumps were required to remove the remaining sediment at the pit bottom. 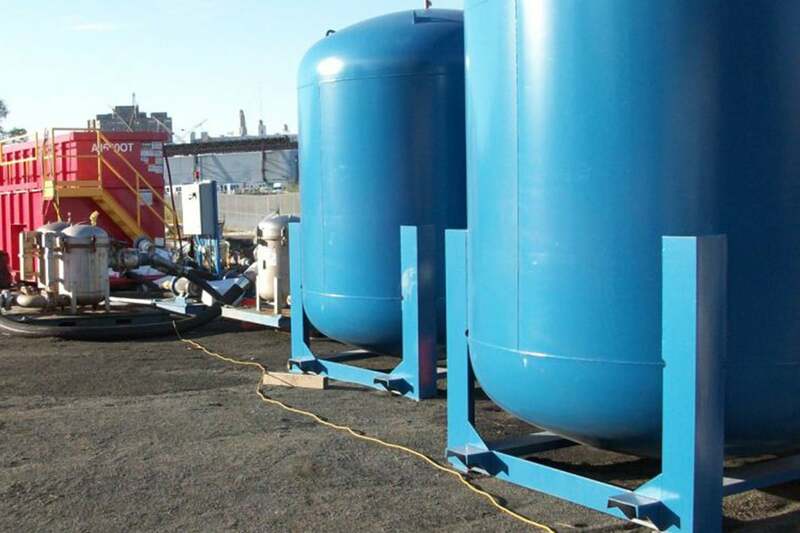 Maxymillian dewatered sediments using geotubes, and a water treatment system for decanted water and PCB treatment prior to discharge or recirculation. 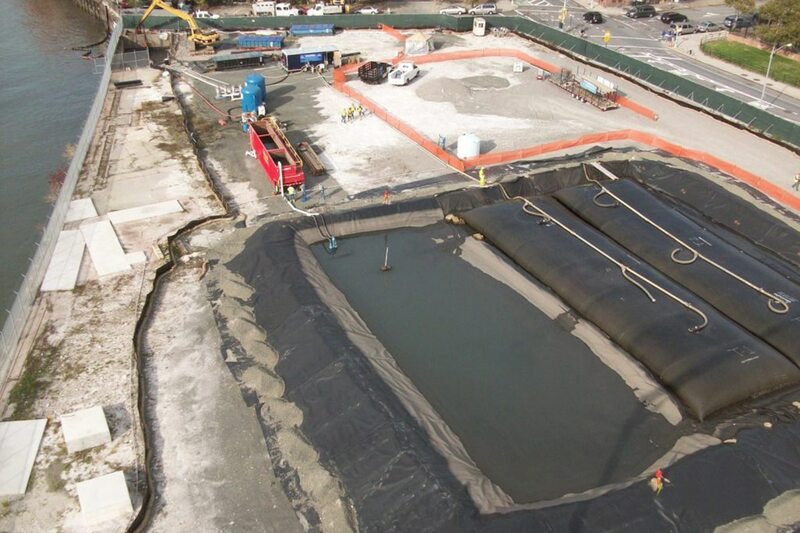 Following sediment removal, Maxymillian backfilled the ash pit with concrete slurry and a 1’ thick concrete slab with steel reinforcement.